Magnitudes are dealt with in many different programs in SEISAN and this section intends to give an overview. SEISAN can calculate most standard international magnitudes: Local magnitude Ml, coda magnitude Mc, body wave magnitudes mb and mB (broadband), surface wave magnitudes Ms and MS (broad band) and moment magnitude Mw. The magnitudes are calculated in HYP as median of the station magntudes. Optionally, also averages can be calculated. For more details on the parameters used and the exact formulas, see program HYP. while the moments obtained by spectral analysis are stored in the SPEC lines and in the MOM lines for moment obtained by moment tensor inversion. While the magnitudes are calculated for all channels, only the average magnitude is stored on the header lines (except for Mw from spectral analysis, where magnitudes corresponding to each moment is stored on the SPEC line). The parameters to calculated Ml and Mc are given in STATION0.HYP file. The parameters for calculating spectral magnitude are given in MULPLT.DEF and/or SEISAN.DEF. Parameters for calculating Mw from moment tensor inversion is generated by EEV (using the model in STATION0.HYP) and stored in the S-file. The remaining magnitudes have fixed parameters. Changing Ml and Mc parameters will result in new magnitudes being calculated with the next update of the S-file. For the spectral magnitudes only changes cause by hypocentral distance, density and velocity will affect the recalculation of magnitude. If the attenuation change, the spectra must be recalculated. There is thus room for only 6 magnitudes calculated by SEISAN. More magnitudes can be stored on more type 1 lines which must have different location agency and/or origin time compared to the first header line. Magnitude sizes are plotted on all epicentral and hypocentral plotting programs. Relations between magnitudes can be plotted with MAG, b-value can be calculated and plotted with SE (standard method and Wiechert method) and BVALUE. A completeness check can be plotted with SE. NORHEAD can take magnitudes from following header lines and move them up to empty magnitude spaces on first line. CLUSTER cleans a catalog for foreshocks and aftershocks, partly based on magnitudes. 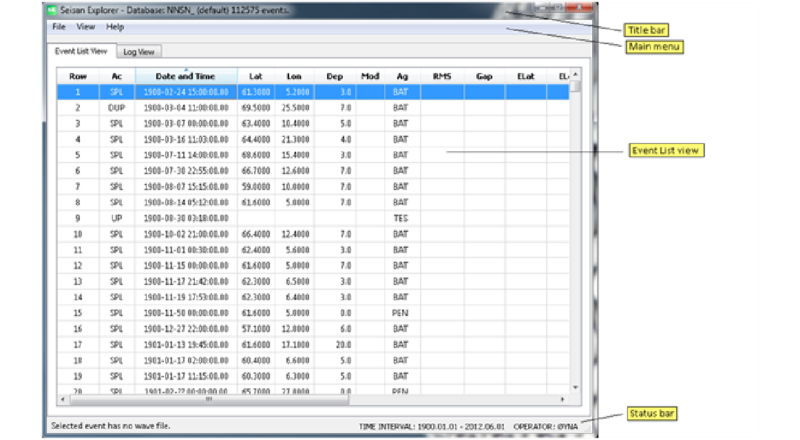 ASSO is a program that merges events in two catalogs based on both time and magnitudes. 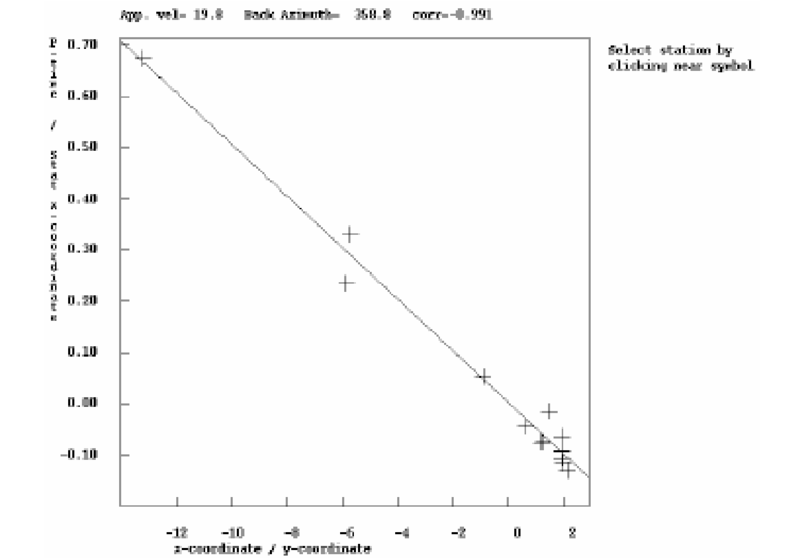 The Ml attenuation function can be calculated by inverting amplitude reading from many events suing program MAG2. A coda wave relation can be made with MAG. Attenuation to be used with spectral Mw can be determined using QLG, SPEC and CODAQ. QLG is the recommended program. AUTOMAG can also be made to make some initial tests for the best Q to fit the Brune spectrum. The magnitude implementation in SEISAN has been adjusted (version 8.3) to the new IASPEI standard. Over the years there has been different ways of identifying the amplitudes used for magnitudes. Originally, amplitudes were not identified with any specific magnitude and only the period and distance was used to find out which kind of magnitude should be calculated, like Ml or Ms. Later different amplitude type phase names were used to identify which type of magnitude should be calculated and now only one IASPEI name is used for the amplitude phase name. However, SEISAN is backwards compatible and will use all the old amplitude phase identifiers. Below is given all identifiers used. Depth range is handled by the attenuation function, SEISAN has two attenuation functions TEST(108) is used to specify which one is used. Default TEST(108) is 0 the Gutenberg and Richter  attenuation function as recommended by IASPEI. Depth: All depths values are accepted. The underlined values are hardcoded in SEISAN.